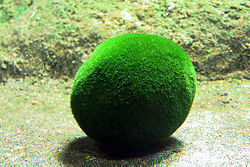 Contrary to popular belief, marimo are not difficult to keep, and are low maintenance organisms. 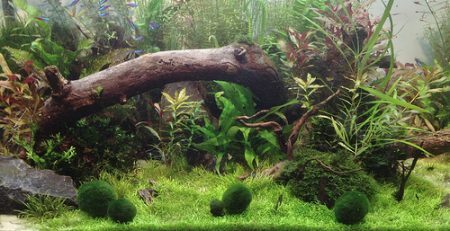 The only ingredients they need are a strong UVA/UVB light source: direct sunlight or an incandescent bulb specifically for aquatic plants, as well as a simple water bubbler in order to keep the water circulating and CO2 moving throughout the tank. This equipment may be obtained rather inexpensively in your nearest pet shop, or on Amazon. 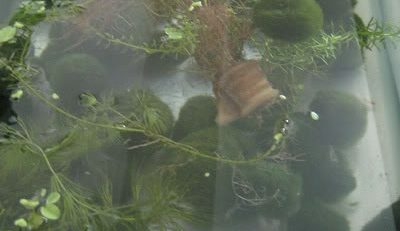 If you are looking to keep larger marimo specimens, or even intend to build a colony, it is best to find a larger-sized aquarium such as a 10 or 20 gallon tank. The larger the tank, the fewer water changes will be necessary to keep the water sparking fresh. We suggest performing a water change at least once a month, depending on the condition of the water. 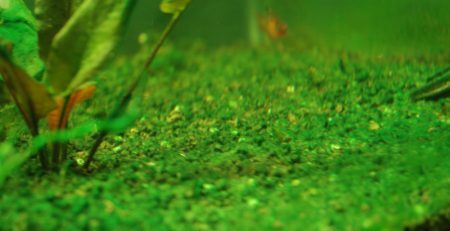 No aquarium gravel or substrate is needed, as the substrate particles will only make it more difficult to clean the tank. 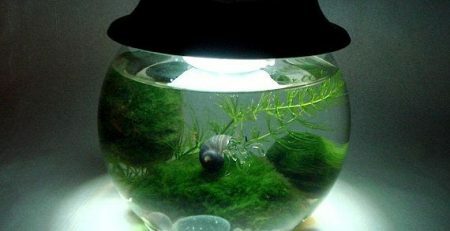 We suggest bare-bottom setups when keeping marimo. 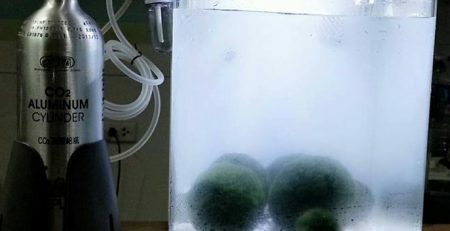 Prior to obtaining marimo, it is recommended to have your setup running for at least a week with a water bubbler in order to ensure the water has been circulating. No de-chlorination is necessary. 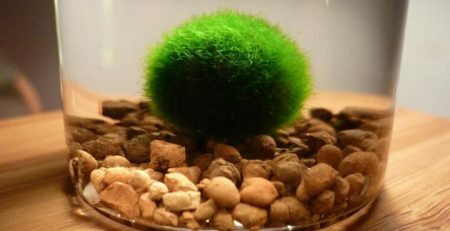 Upon receiving your marimo, you may place them immediately in your tank and leave them alone. No maintenance is necessary other than ensuring they receive at least 8 hours of sunlight/UVA/UVB per day. 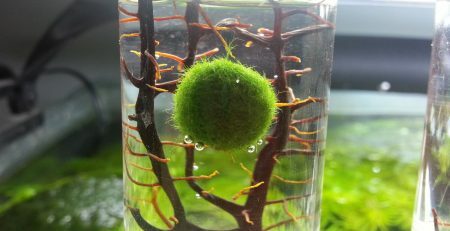 Sunlight will keep your marimo a healthy green color. 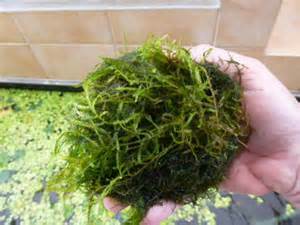 The presence of air bubbles on the surface of your marimo will indicate they are healthy and photosynthesizing. 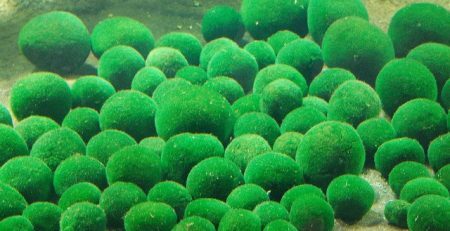 More advanced marimo setups may include special CO2 injectors that will increase the growth rate of marimo.